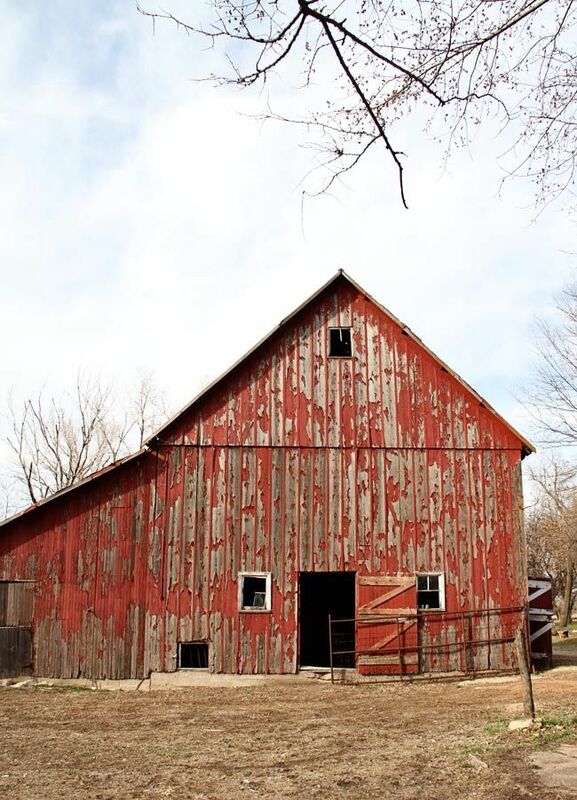 This week I'm going to take you on a photo journey of our barn. 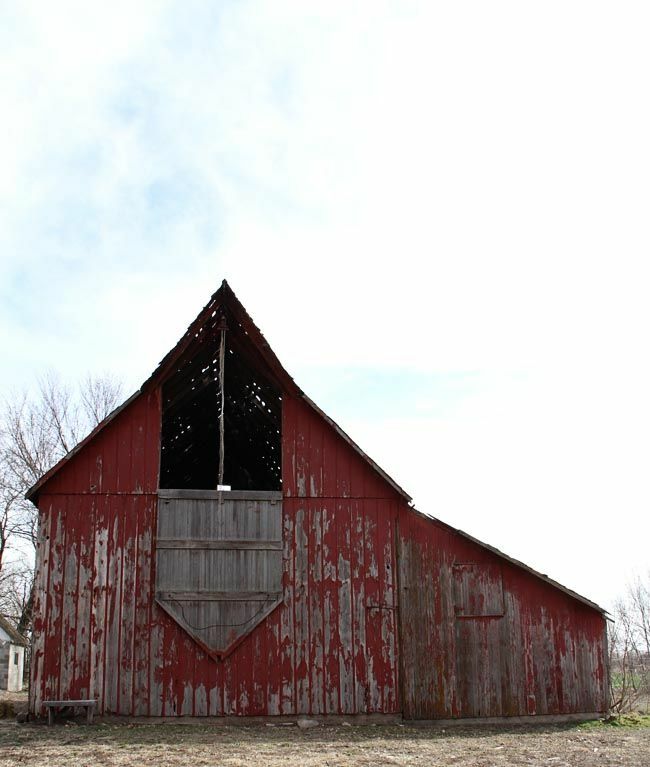 It was built around 1930, but possibly even before. 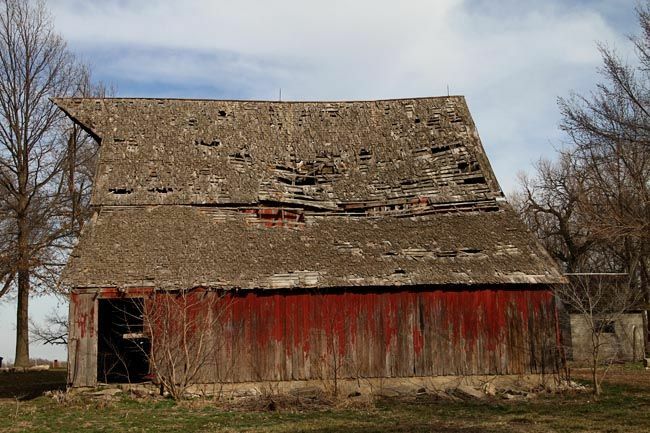 That's the earliest record found of it. 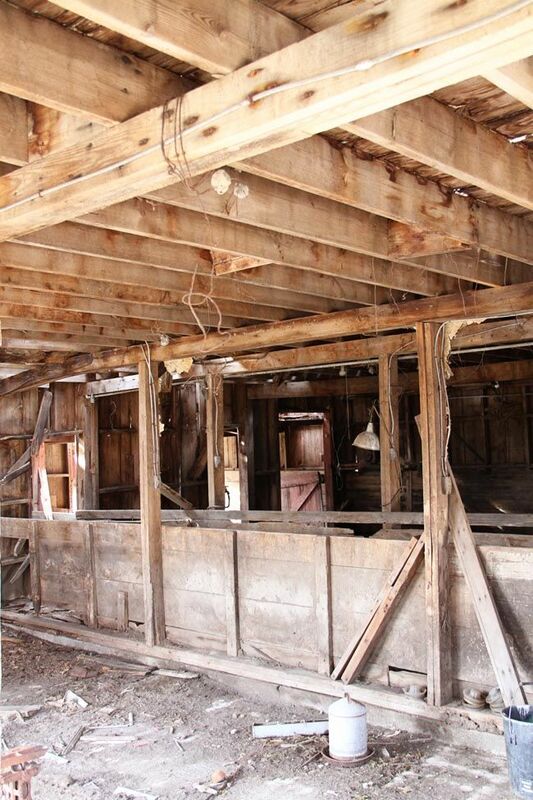 This place was once a working hog farm. 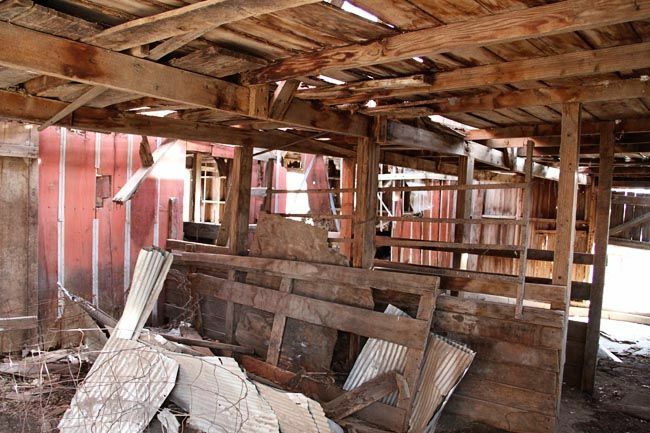 But the barn has suffered many years of neglect and non-repair. 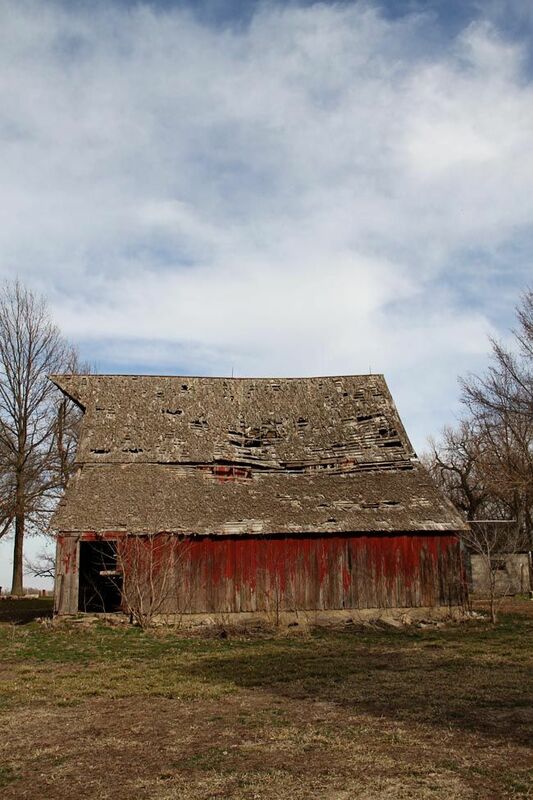 It's been weathered and rotted. 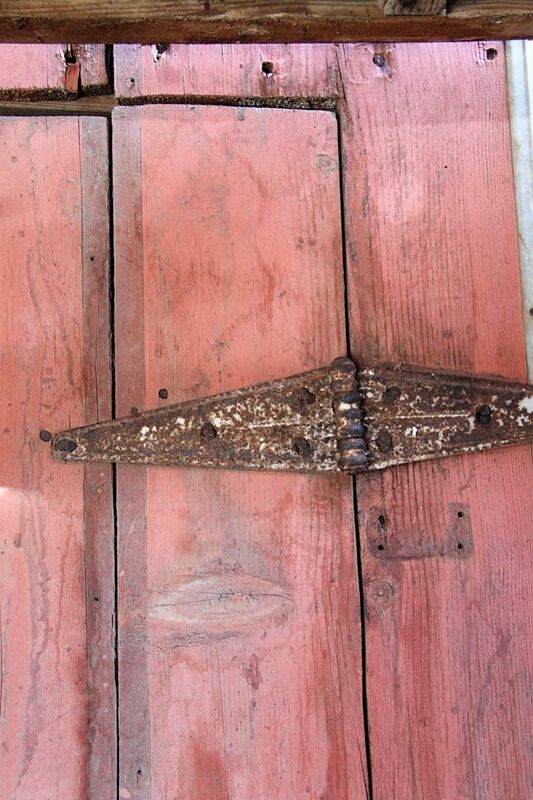 But also dangerous. 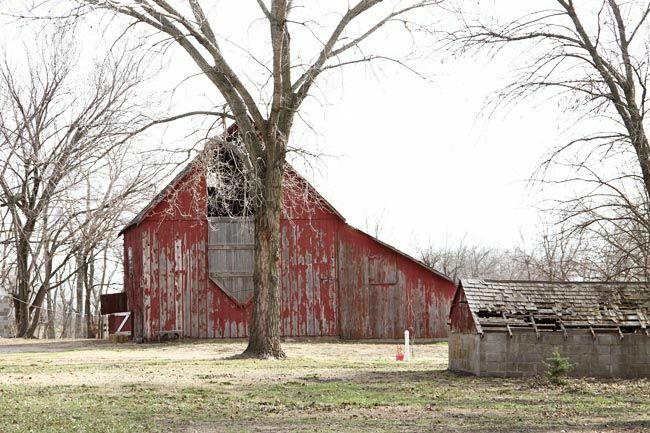 Bits and pieces fall off with each gust of Kansas wind. 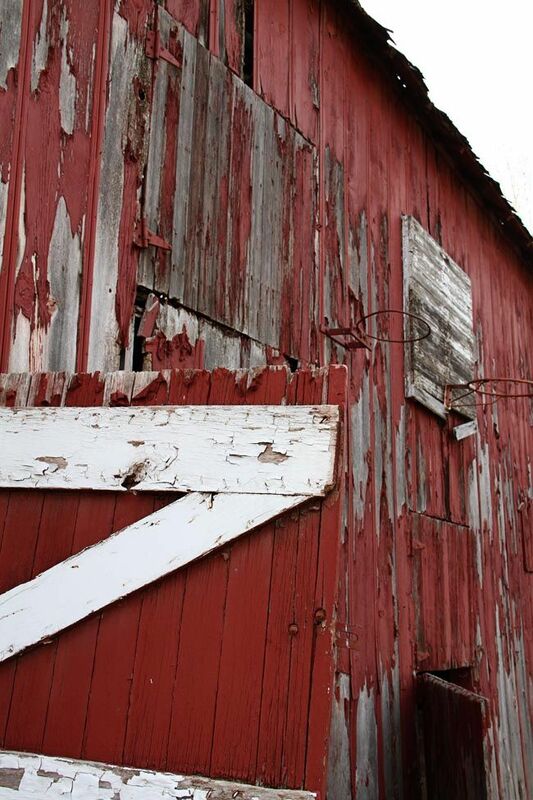 I LOVE red barns - so much so that I painted my greenhouse/potting shed barn red with white trim! 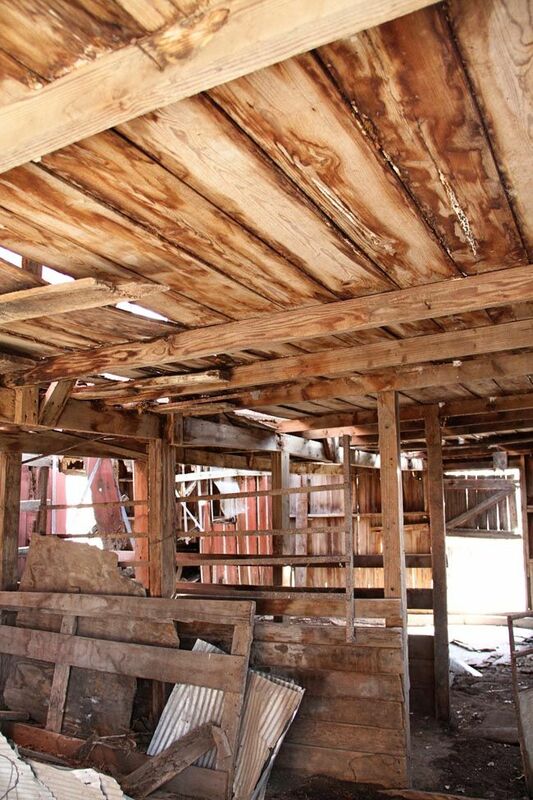 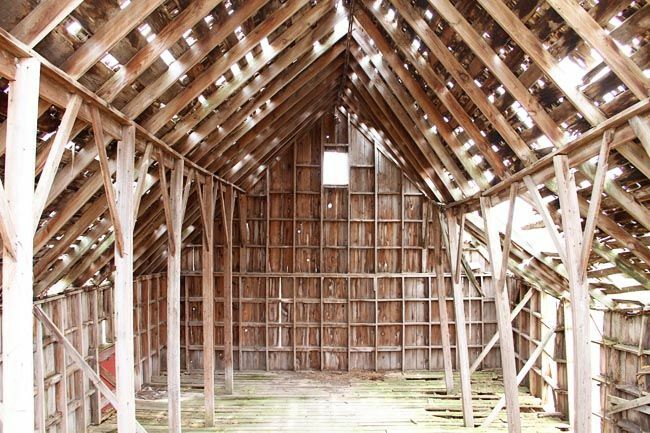 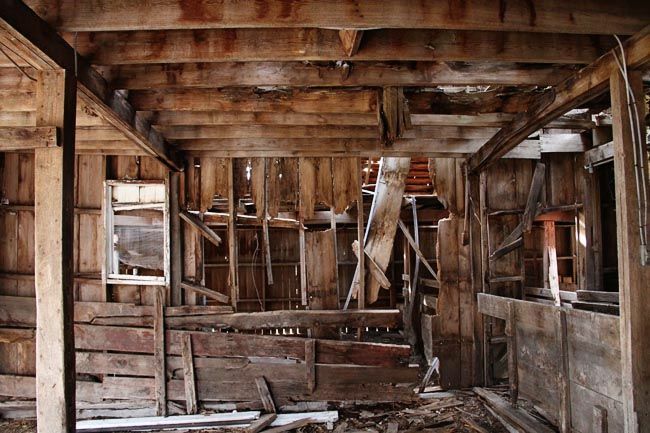 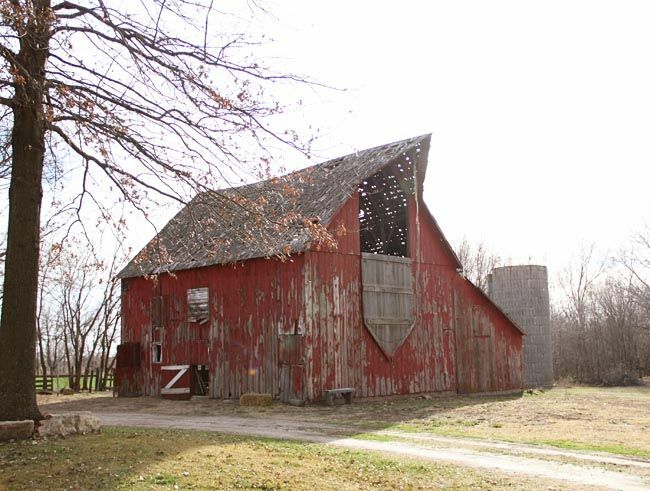 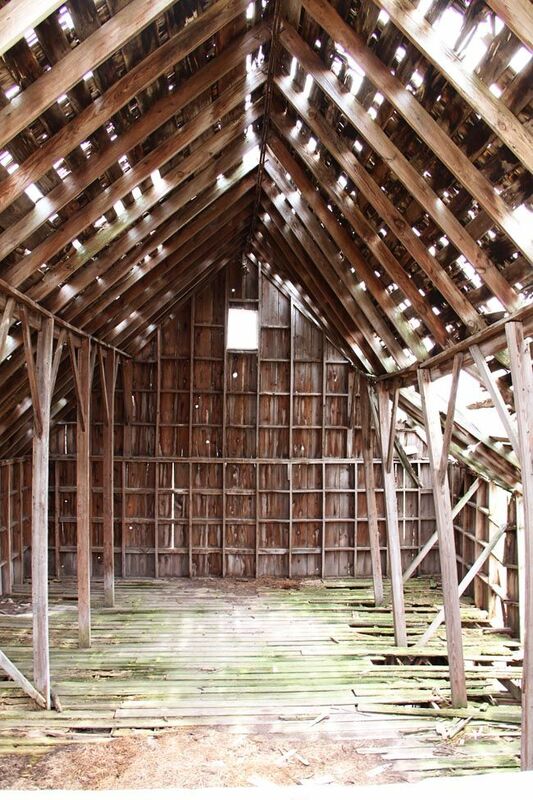 Will you ever be able to restore your beautiful barn? 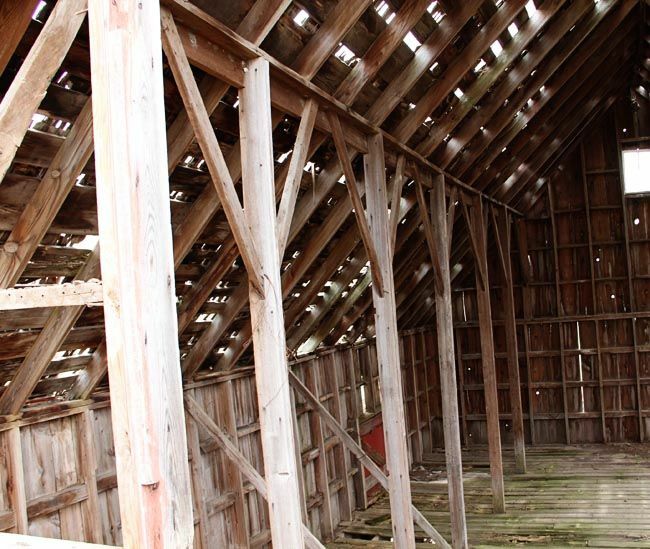 In looking at your photos, I could actually SMELL your barn. 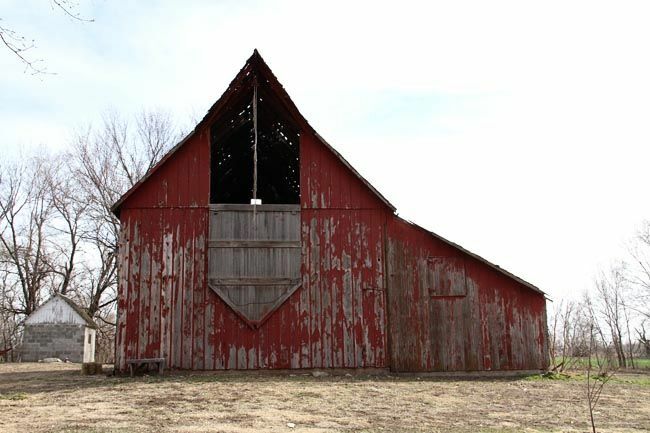 I grew up on a farm with a very similar barn.